​​OUR MISSION: ​​To help those who have fallen on hard times through no fault of their own. With the assistance of our fund, we hope to enable them to get back on their feet and return to their normal lives. All involved who give and receive benefit because it stays in the Hampton Roads community. 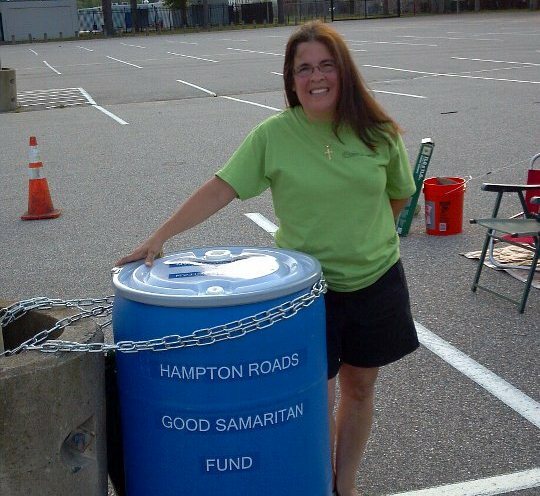 The Hampton Roads Good Samaritan Fund is a 501(c)3 nonprofit charity. ​​​The Good Samaritan Fund assists with many financial shortfalls, including but not limited to power bills, rental assistance, medical co-pays, emergency medications, car repairs, food, and clothing. Sometimes one paid bill can be the difference between moving forward and homelessness. ​​​​​​​We also provide budget counseling so that at a time of crisis, clients can learn to depend on themselves. If we cannot provide the individual with the type of assistance they are requesting, we will then resource until a solution to the problem is found. We don't give money to clients, but use it to pay a client's bills or expenses directly. Our organization is here for people who, through no fault of their own, have fallen upon hard times. ​For 99 percent of these people, we used to call them our middle class. ​​Not everyone needs a bill paid, or is about to be evicted because of job loss or illness. Some need help with a move, groceries or transportation. Some just need to talk things out, or figure out what to do next. To ensure that our donors' gifts make a real and lasting difference, we interview the clients in detail to assess whether the problem/situation is going to repeat itself in the next month. Everyone from citizens to companies to celebrities: The Oprah Winfrey Show has called, and in one situation Bryant Gumbel donated frequent flyer miles. But most gifts come from everyday Virginians, trying to give back and make a difference. ​Many agencies send requests to us, including Social Services, The Newport News Commonwealth Attorney's Office (Victim’s Assistance Unit), Peninsula Agency on Aging, local churches, fire departments, and police departments, to name a few. Nearly all have already approached every social welfare agency they can think of, every charity or church, and been turned away because they didn't qualify or the money's just not there.So those agencies refer callers to us.